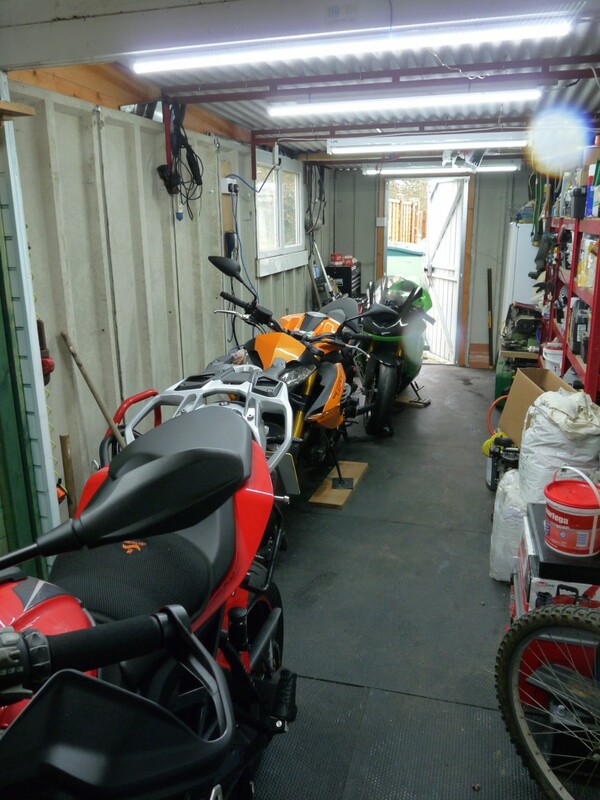 Bikes in workshop ready to go and more S**t weather. Bikes ready to roll but look at the Bloody weather. 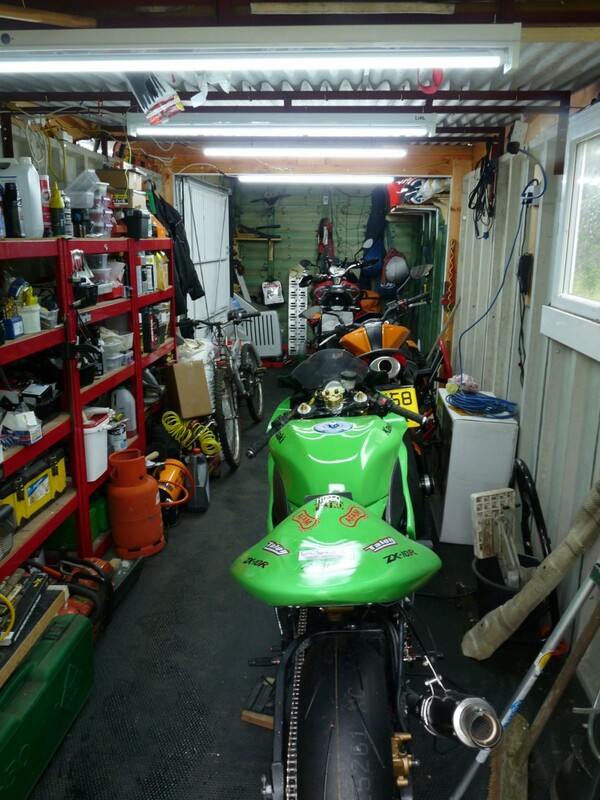 Re: Bikes in workshop ready to go and more S**t weather. Yes, I am very frustrated also. It's snowing again as I write this. This is beyond irritating. I was out riding once in January, three times in February and none since. Either it's been snowing or there is too much salt on the roads. What’s that orange and black thing in your garage? A Harley Davidson? In the tundra I live in, we had snow this weekend. I haven’t had to wait this long to roll out my bike in some time. Damnable mini-ice-age. If winter were human, I'd kill it. Are the solicitors at HD aware that someone has copied their patented color scheme?? There are copyright laws! I bought a bigger shed to put my bikes in and also ended up with more bikes, extended the shed to make room to work on my project AND the wife bought another bike. Back to square one ! !